Founded in May 2017 after self-funded training and also experience of working with other pest control firms we decided that we had a lot more to offer. Our team goes above and beyond to cater to each project’s specific needs. Through open communication and exceptional service, we hope you’ll find what you’re looking for with our Pest Control Services. The work is carried out by our experienced, fully trained BPCA/RSPH level 2 qualified technicians. 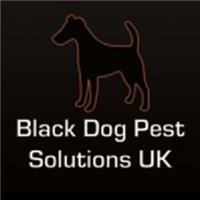 Black Dog Pest Solutions UK has full professional and public liability insurance. Our success to date has been built on our friendly and personal approach combined with fair pricing and we are committed to getting results.